Get out of the infrastructure maintenance business and focus on your primary objective―your business. From factory-built, pre-validated systems for mission-critical applications and mixed workloads, to hyper-converged appliances, the VCE Converged Infrastructure portfolio provides an unmatched selection of converged infrastructure solutions to take your IT team to the next level, and bring products to market faster. The fact is, in IT, the status quo isn’t going to cut it. Traditional infrastructures are rigid and slow. Converged Infrastructure can change all that. You get a flexible, fast, cost-effective new model that frees your organization to focus on business-building initiatives, and speed to market. Scaling to meet cloud demands is critical, and Converged Infrastructure makes it possible. IT obstacles are eliminated ― and replaced with the highest levels of efficiency, speed, and service to lead the digital transformation of your business. 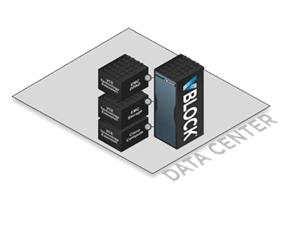 Converged Infrastructure removes the friction between application and infrastructure teams. A Converged Infrastructure solution is optimized to give you the performance you need today and the speed to deploy the services you will need tomorrow. With faster provisioning, and elastic power at enterprise scale, you can take application development to cloud speed. Finally, IT can meet the needs of today’s increasingly mobile, savvy workforce ― and the challenges of the most complex service delivery projects. Simplify your data center with pre-configured infrastructure that integrates best-in-class compute, network, and storage.